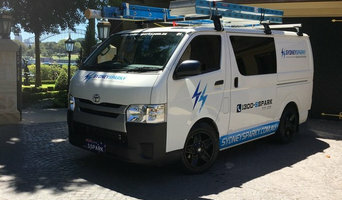 Sydney Sparky offers a full range of electrical services for your home or business. With a friendly & personal approach & emphasis on service & satisfaction, we strive to offer our customers a unique experience with every visit. From large scale commercial projects to small domestic jobs & everything in between, we have it covered. Express Electrical Group is a Sydney-based electrical maintenance company that has worked in this industry for over 12+ years now. At Express Electrical Group, we have a team of experienced & qualified electricians ready to help you with all kinds of electrical problems. We have a team of experienced electricians who can do all types of installations & repairs. At Total Appliance Service we repair home appliances, fridges, washing machines, dishwashers, ovens, stoves, range hoods in the customer’s home or workplace including real-estate and landlords. We also use the most experienced and skilled technicians when dealing with all of your appliance servicing needs, any model and brand. A professional, prompt, local, honest and reliable service. That’s why we are one of the leading independent appliance repairers and servicing company in Sydney. We pride ourselves on providing the best service for our customers at all times with the least amount of inconvenience caused. We strive to look after you with our fair competitive costing structure, honest advice and getting the job done! It can be really frustrating when an appliance stops working and we at Total Appliance Service understands how appliances are essential within your household, that’s why our, clean and highly skilled technicians are available 24/7 days a week to help you get your house working again. For customer convenience you can choose either a morning or afternoon appointments with our technician contacting you with a courtesy call half an hour prior to our arrival. 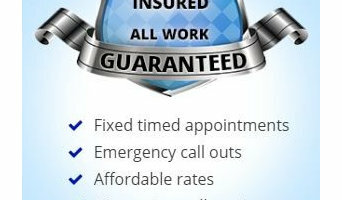 All jobs are covered by warranty. Our team is built on integrity, skill and a genuine care for you and your home. Our level of workmanship and affordable pricing means that we are the best choice for whatever appliance repair you require. So contact us today and Total Appliance Service will be at your door in no time. DLP Electrical is a privately owned business which provide a wide range of reliable, efficient electrical services for all commercial and domestic applications, such as switchboard repairs, lighting services, data point and phone line installation, and much more. All of our electricians are fully certified local professionals, and are guaranteed to be able to manage any electrical problems that you may be experiencing. All of our staff undergo training on a regular basis to ensure that we continue to deliver the benchmark standard for all commercial and Sydney residential electrical services. DLP electricians pay attention to detail, excelling in customer service and are reputed to be on time to complete their jobs efficiently and effectively. We deal with reputable and reliable electrical suppliers to ensure quality and efficiency and meet the needs of the client. DLP Electrical have been carrying out Sydney commercial electrical work for over 10 years now. This long term relationship is testament to our quality of work, expertise and commitment to excellence. We are a team of 6 Electrical Technicians and qualified with extensive training and experience, We do perform our skills to deliver the work in such a set programmed time frame work for clients, Builders and project managers. we always work so close with our client to make most of benefit for them and stakeholders to get most value or return on investment with our work and performance. our financial system allows us to handle any project up to $300k Please contact us for any question or more info with your project. BatteriesShop.com.au specializes in R&D laptop batteries and charger, power bank, power tool battery. Our customers are from most countries in the world: North America, South America, Eastern Europe, Southeast Asia, Africa, Mid East, Eastern Asia, Western Europe, Central America, Northern Europe, Southern Europe, South Asia. Stallion Stainless Steel Electric Motors supplies motors, gearboxes and other solutions. They specialize in design supply and installation for all industries. Protection relays offers various disconnects and protection for circuits. Providing high quality performance Protection Relays, Solar, Zero Export, Anti-Islanding, ComAp, Monitoring, Solar Protection Relays, MainsPro, InteliPro, Testing and Commissioning. We are professional and fully licensed electricians and electrical contractors for the Blacktown to Parramatta area. Whether you are looking to power up your new home, order a repair on your commercial electrical system or require an industrial installation solution, RPS Electrical can help you provide a licensed electrician and electrical contractor. 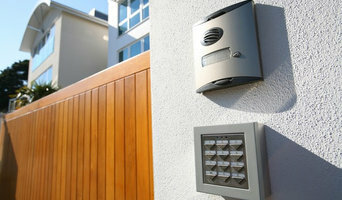 We provide quotes and emergency services and are experienced in electrical connections, servicing, and upgrades. Our competitive prices and reliable service will impress you every time! We are proud to say that our clients always receive the best professional service they each deserve, we strive in giving our customers a professional service every time. RPS Electrical services Blacktown, Doonside, Glendenning, Woodcroft, Quakers Hill, Kings Park, Lalor Park, Seven Hills and surrounding Western Sydney & Parramatta suburbs. 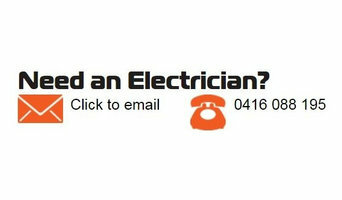 Give us a call on 0408 662 604, we are more than happy to answer any questions regarding your electrical needs. ABC Electric Services is sydney's most reliable and professional electrical service. We specially aim for jobs not more than a consecutice weeks work, keeping it small with a tight cash flow so that overheads don't get the better of us And essentially we pass on the savings. When you call ABC Electric Services you'll be answered by a qualified electrician who will fluently estimate and explain your situation in a format that you can understand. 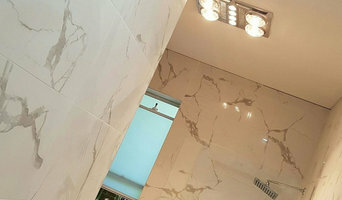 We also specialize in helping big jobs get done, we won't take on the whole contract but we will bring in supervised teams to your project to help get it finished quicker, our teams range from 2 tradesmen - 250 tradesmen and are supervised. Are you having problems and need assistance with your electrical needs? Contact us now and experience our fast and friendly service. Our expert lighting division is managed by Scotty who is keeping up to date with manufactures on the latest LED technologies so we can pass on that bennifets to our dear customers, making sure they get the latest and best quality. For further information, please see our website or phone us today. New Life Electrical is a Sydney based company catering for residential, commercial and industrial electrical work. New Life Electrical is substantial enough to cater for large commercial projects yet still having a personal approach to the everyday electrical job. Our Professional work with moderate prices keeps customer satisfaction and is the key element to our business.